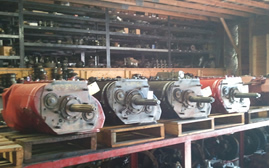 Rebuilt Parts offered by White & Bradstreet, Inc.
From rear ends to transmissions we offer a quality rebuilt for your truck. Our helpful technicians will be able to help you with whatever you need and produce the best quality rebuilt around. 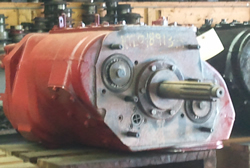 If we do not have the unit you need in stock, we can take your rear end or transmission and rebuild your unit. Factory recons available also. 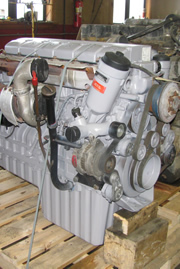 We offer a selection of rebuilt and rebearinged engines. Our most common are Caterpillar®, Cummins®, Detroit® and International®. Specialists. We have many remanufactured power steering units in stock and can usually get the hard-to-find units.